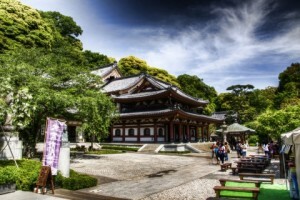 Hase-dera Temple – Buddhist temple belonging to the school Jodo-sho. The temple is famous for the fact that it is one of the largest wooden statue of the goddess Kannon mercy. Carved out of camphor, nine-meter statue depicts Kannon with 11 heads, each of which represents a certain quality of the bodhisattva. According to legend, the statue was made in 721 by a monk named Tokuda. But camphor tree, selected them as the material was so great that the monk was able to cut two identical statue. 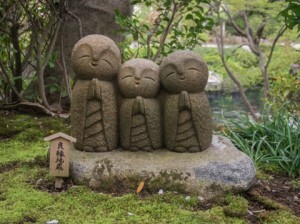 One of them was brought to Hase-dera Temple in Nara, while her twin was sent by sea to the place she chose Kannon with a suitable karmic energy. As a result, the statue has beaten a wave to the beach Nagai, not far from Kamakura, where she was taken and installed in the new temple of Hase-dera. Directly in front of the temple is divided beautiful garden, and a little further, on top of a hill, the buildings of the temple complex. 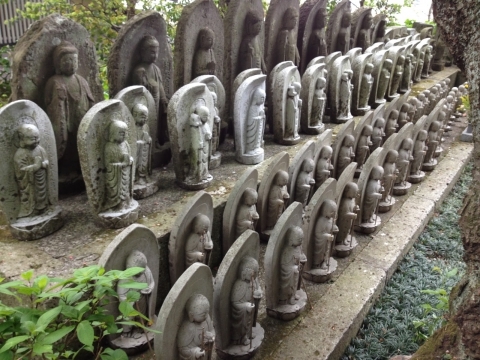 In one of the halls – Gizo-up – you can see a large number of statues of the bodhisattva Jizo – the patron saint of children. A little further on is the goddess Kannon Hall – Kannon-do. 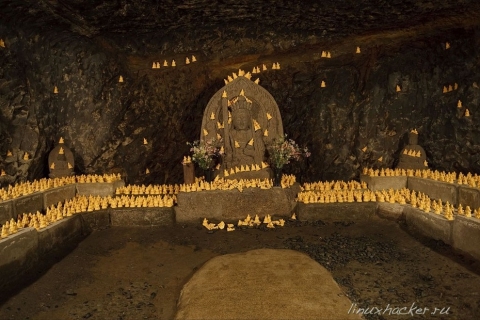 Special attention is given goddess welfare bento room (transferred from Indian to Japanese mythology, the goddess of the rivers and the Arts) and the cave bento Kutsu. The cave is a long, winding tunnel with a low ceiling – there is a large number of statues bento and other Buddhist deities. Also in one of the buildings is a large collection of Buddhist sutras, which is stored in a wooden cabinet swivel. According to legend, a man who wagged his store, will find the wisdom and knowledge of all collected in it sutras, however, visitors are prohibited from the case. A visit to the temple, you can complete stop on the observation platform, offering beautiful views of the city.